I’m sure you will agree that when it comes to finding out about domiciliary care services it can get very confusing with the range of things you have to read and understand. Domiciliary care, sometimes called home care, is rapidly becoming a popular alternative to residential and nursing care. It enables those with varying care needs (through illness, long-term medical issues or old age) to remain in their own home indefinitely, or for a longer period of time than was previously possible. But what exactly is the domiciliary care meaning, who is it appropriate for, how can it be accessed and what can you expect when you choose to access care at home? Domiciliary care is a term used to describe at home care. Increasingly individuals and their families are turning to domiciliary care in favour of traditional residential or nursing care, as beds in homes are filling up and rising in price – with no guarantee that the care provided will be sufficient. Home care can be offered in a number of capacities – and the intensity and frequency of visits will depend on individual circumstances and care needs. Some only need intensive domiciliary care for short periods of time, whilst others simply need low-level long-term care. Domiciliary care, also called dom care, can also be offered to young people, children and adults with temporary or permanent care needs and is not an exclusive service for the elderly alone. 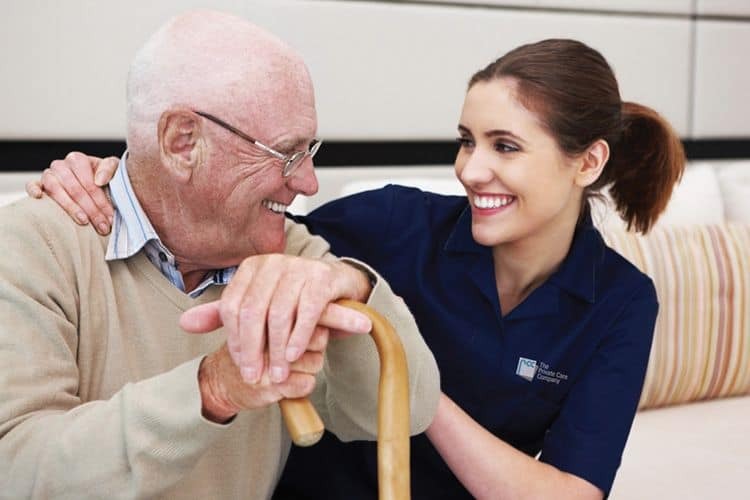 The main advantage of homecare is that it is carried out in a person’s own home, eliminating the need for them to spend large amounts of time in hospital and enabling them to stay in their own home indefinitely, if not for a longer period of time than would normally have been possible before domiciliary care was an option. You can read about care after hospital discharge on this site. The article talks you through what the process is and how you can use home care to support the discharge. You can read some of the advantages and challenges to home care below. Here is a great video that explains more about what domiciliary care is. Question 1 – Who provides the care and what help will I get? Domiciliary care involves a trained individual or nurse coming to your home periodically to administer care of some kind. At the basic level this person provides companionship and helps with everyday tasks, such as cleaning the house and buying food shopping. They may only visit once or twice a week. n this instance medications can be administered, dressings may be changed, blood tests and other observations may be taken. Help with personal care such as washing, dressing and feeding may also be provided. 2 – Where can I find domiciliary care agencies? Domiciliary care providers are normally arranged through your local authority, or can be obtained through private domiciliary care agencies. You can use our comprehensive database, of over 10,000 providers to find domiciliary care agencies in your local area or use the search box above. If sourcing care through a domiciliary care provider, you should get the opportunity to meet the person who will be providing your care, and you’ll be fully briefed on the expectations and provision of care you’ll receive. Local authority carers can be allocated on a random basis, so you may not always see the same person. If however you find that you are more interested in finding a care home you can read about that here too. 3 – What is the difference between domiciliary care services and residential care? Plainly speaking, domiciliary care services are provided in an individual’s own home, whilst residential care involves the person staying permanently in a specialist establishment set up solely to provide care. It is important to note that residential homes do differ from nursing homes. Nursing homes provide more intensive care for residents, whereas residential homes can be suitable for people with limited mobility, early onset Dementia and other low-level care needs. Normally domiciliary care (home care) is a more appropriate alternative to residential care, as those needing nursing care may have care needs which are too severe to be catered for in a domestic setting. 4 – Is home care better than residential care? One of the most popular reasons behind individuals choosing to opt for domiciliary care services over residential care is the fact that it allows them to stay in their own home. This is a huge advantage for many older people, especially when they are fit and well enough to reside at home. This less drastic alternative allows an individual to retain their independence and any community ties, as they remain in their local area – in lots of cases they are close to friends and family. Lots of people don’t need residential care – but previously ended up moving into a residential home or sheltered accommodation purely because there was little provision for care at home. Domiciliary care (home care) changes that – so as little disruption, distress and loss of security occurs as is possible. There are other benefits – financially, domiciliary care services can work out less expensive than costly residential care, as you pay for your own keep and meals as you would normally. Family and friends may also care for an individual to subsidise the amount of domiciliary care provided, and this can further bring down the cost of care. 5 – What is domiciliary care and is it the right option for me? Dom care is especially appealing for anyone with care needs wishing to remain in their own home. But determining whether domiciliary care is suitable for you isn’t purely about personal preference. When deciding whether domiciliary care is for you there are a number of things you’ll need to consider. Firstly you’ll need to assess your care needs – for this you’ll need to contact your GP or social worker, who will order a report on your condition which is made by a medical professional. Recommendations can then be made regarding the level and type of care you need. You may be entitled to benefits as a result of your condition, and you can use these to pay for your domiciliary care. 6 – I have specific needs. Is specialist domiciliary care available? Normally domiciliary care is reserved only for those with less intensive care needs, or for those with disabilities or palliative care requirements. Specialist care may need to be provided by a company who deal only with the specific needs in question – or unfortunately domiciliary care may not be an option. If you have specialist care needs your first step is contacting your GP, consultant or social worker. They will be able to carry out a care assessment (as above) to determine exactly what types of care support (and any equipment) you will need to enable you to live safely, comfortably and independently in your own home. 7 – How can I pay for my care costs? There are a number of ways you can pay for your care. How you pay and how much you pay will depend on a number of factors – including the area you live in, the amount of money you have in savings and in terms of assets, and the care company you choose. Even if you feel you have sufficient funds to pay for your care right now it’s important to claim all benefits you are entitled to – because when your contribution to care is worked out it will be calculated as if you already receive everything you are able to claim. Domiciliary care is subject to the some of the same benefit systems as residential care – although there are some specialist funds and types of benefits available for home care use. If you have sufficient funds you may be able to pay for your domiciliary care (home care) yourself. As domiciliary care may be required for an indefinite period of time (and may eventually need to be replaced by residential care) you’ll need to consider future costs and how long you’ll need the care for. The intensity and type of care may also change – for example, your condition could deteriorate over time, meaning you require more frequent attendance. As you are paying your care costs yourself you can sell assets or use savings to fund your care if you wish. Here is more information on using your savings. One of the most popular ways to pay for home care is through equity release. It means you can access a tax free lump sum straight away and stay in your home whilst you receive care. You can speak to an equity release specialist directly on 0800 4640 806 if you would like to learn more. Here is a video that explains how equity release works. Try the calculator below and see how much money you could get as a large lump sum, tax free, if you used equity release. If you have money but don’t feel you have enough to cover your domiciliary care costs now and in the future, you can subsidise the cost of the care you receive using benefits allocated for this purpose or a pension fund. Disability Living Allowance (now known as Personal Independence Payment) and Attendance Allowance. The Personal Independence Payment scheme is for people aged 16-64, whilst Attendance Allowance is for those aged over 65. If you need guidance or advice regarding the type of benefits you are entitled to, you can find details on the gov.uk website or at your local Citizens Advice Bureau. Certain charities and social key workers can also help with applications for benefit. This option is for those who don’t have any funds to use to pay for their care. Although it is possible to pay for home care solely with benefits, it may limit your choice of care companies and you may not be able to select your ideal care provider. You may need to use government care schemes and charity schemes to supplement your paid care. Here is more information on claiming benefits you may be entitled to. 8 – How can I work out what my care costs will be? If you’re feeling confused by domiciliary care costs you can try our handy Care Fees Calculator, which enables you to work out your care budget taking into account your various funds available. If you feel you need help or professional assistance when calculating your domiciliary care costs, you can use our directory to find a specialist financial advisor to help you fund your care costs. The directory has been specifically developed for those needing care funding guidance. It’s additionally worth noting that depending on your circumstances you may be entitled to NHS Continuing Healthcare (a service provided by the NHS for those with on-going long-term medical needs). This is free of charge and can be arranged through your GP, consultant or social worker. For more information on the Continuing Healthcare Scheme you can read our dedicated article here. 9 – Where can I find an agency to help provide me with my care? At UK Care Guide we have built a comprehensive database of over 10,000 domiciliary care agencies and home care providers in the UK. You can use our home care search facility to find domiciliary care agencies in your local area. 10 – How can I choose between domiciliary care providers? The first step when choosing a domiciliary care provider is to ensure you have a comprehensive assessment of your care needs to refer to. Please read our guide to choosing a home care provider for more information. You then need to assess your budget – as you’ll need to know what you can afford before you start to search for care. This is important, because if you spend time choosing a care provider only to find out they are too expensive for your allocated budget, you’ll not only be disappointed but you’ll be required to start all over again. Once you’ve ascertained your care needs and budget you can start to search for domiciliary care providers in your area who cater for both. You can do this via our website here at UK Care Guide, which provides a comprehensive directory for those looking for a domiciliary care agency across England, Wales and Scotland. Once you’ve identified a number of domiciliary care agencies you feel positive about, we recommend making a shortlist of around five. This enables you to really narrow down your original list based on your ideal values, and pinpoint the providers who are close to ‘perfect’. You should take into account the aspects which are most important to you – but also remember to check reviews and the CQC’s independent rating, watching out for any bad press and poor testimonials. Once you’ve created your shortlist it’s time to contact the care providers. You should be invited to an initial meeting where you can meet someone to discuss your requirements. Following these meetings you can make an informed decision on which provider to opt for. 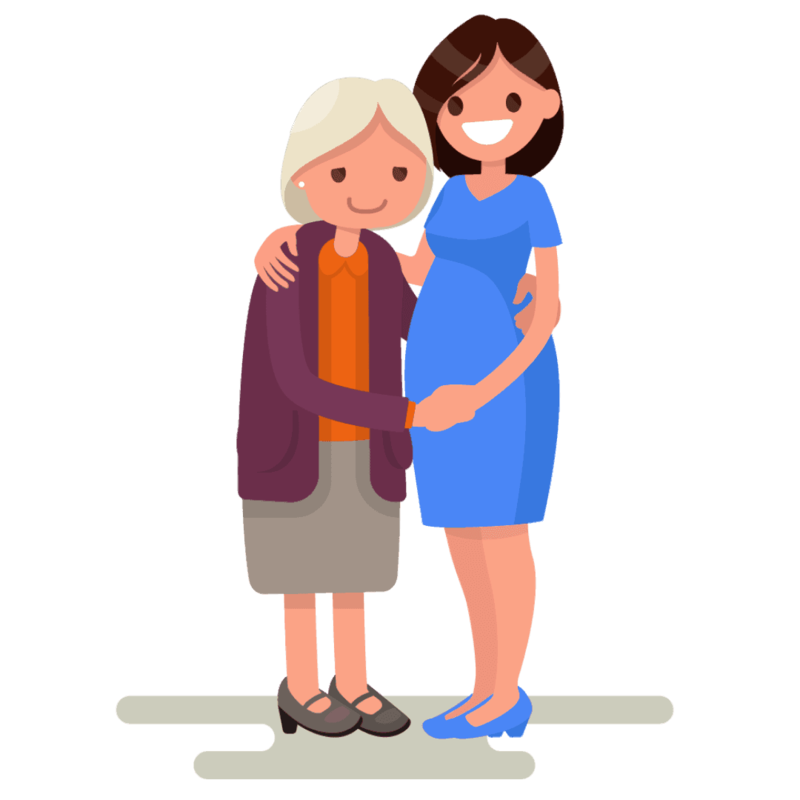 It’s also worth noting that a good domiciliary care agency should offer you the opportunity to meet the person who will be administering your domiciliary care. This way you can ensure that you have rapport with your caregiver, but it also eliminates any fear, anxiety or uncertainty you may understandably be feeling as you welcome a new person into your home. If your domiciliary care provider can’t guarantee that you won’t always see someone new, or refuses to introduce you to your caregiver, it may be best to look elsewhere. For more detailed information about the steps that you should take, please read our section on how to choose between domiciliary care agencies. 11 – How do I know my care provider is safe and professional? All home care providers are subject to strict domiciliary care standards, as are their residential counterparts. The CQC (Care Quality Commission) individually vet each company, but (as detailed below) it’s worth checking independent reviews and working on word-of-mouth recommendations when choosing a care company. You can check whether your domiciliary care provider is reputable and registered with your local authority and the CQC by looking on their website or ringing them to confirm. You should always choose a registered company which is regularly vetted by the CQC where possible. The UKHCA is the UK’s official professional association of home care providers – so any member of this society will be subject to additional scrutiny and regulation. If you choose to go with an individual (perhaps a person you know or a professional freelance caregiver), make sure you have a list of credentials and testimonials, as they also have to maintain domiciliary care standards. You can authenticate testimonials by asking for the contact details of the person who gave it – that way you can ensure that the feedback is genuine and factual. Freelance providers should be professional in their conduct and should ideally write up a contract between you (or Service Level Agreement) so that expectations are clear from the very beginning. If you have any safety or security concerns you should raise these with your care provider early on, to give them the chance to reassure you and put appropriate measures in place if needed. 12 – Who typically works as a domiciliary careworker? The level of qualification of the individual providing your domiciliary care possesses will depend on your personal situation and care needs. For example, you may only need low-level care from your domiciliary care worker – and in this case a home care worker will be looking after you. A domiciliary care worker doesn’t need to have any relevant qualifications, but they are required to have some experience and may be subject to DBS (Disclosure and Barring Service) checks for security purposes. On the opposite end of the scale you may need palliative or on going medical care in your own home. This will be provided by a qualified nurse (known as a district or mobile nurse) and/or a healthcare assistant. This typically will not be provided by a domiciliary care worker. Both are required to complete relevant training and obtain qualifications to carry out their work. If you choose to pay privately domiciliary care agencies, you are at liberty to check the credentials and any training your home care provider enrols its staff upon. Any good home care company should be more than happy to explain their recruitment process and demonstrate your carer’s suitability for their role.